Love in the present tense and continuing. When relationships turn toxic, one of they symptoms is the tendency to use “always” toward each other. You always leave the bed a mess. You always forget to take out the trash. And in a related story, NBC says that more couples are cohabitating.Is the cost of a wedding making cohabitation more attractive, or is that just incidental? 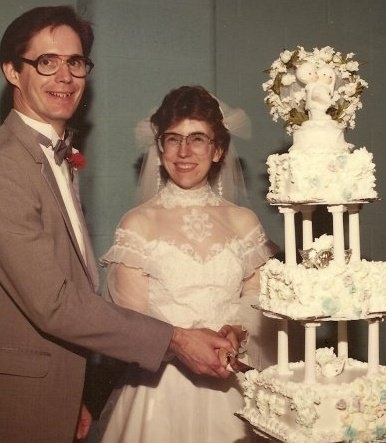 28 years ago, our wedding cost about $2,000.00. That included doing a lot of ourselves, including helping to preparing the food for the reception. I picked 12 quarts of strawberries on the morning of my wedding. The food was served family style by the some of the ladies in our church. We didn’t need to rent a hall. Members of the church could use the church for the wedding and pay a $50 janitorial fee. We didn’t have dancing or alcohol. I bought a dress off the clearance rack. We used silk flowers for the wedding, and borrowed many things. We could not have had such a wonderful low cost wedding without the kindness and mercy shown to us by our family and our church. If churches want to support the institution of marriage, could low cost weddings be a church ministry? Or a parachurch ministry? In my more radical moments, I have suggested in the past that receptions could be provided by a potluck of the attenders. World Autism Awareness Day – Going beyond awareness. This is a demonstration of grace. How am I doing today? Better than I deserve.